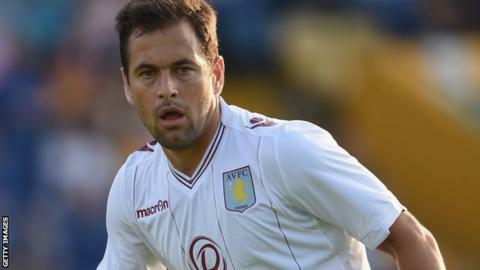 Joe Cole says football will produce more and more "robots" unless players are reminded that the game is about a "round ball". The former England international has enjoyed enormous success in his career, winning three Premier League titles and three FA Cups, as well as 56 caps for his country. Hailed as the hottest prospect in British football in the 1990s and likened to Paul Gascoigne, Cole was known for his silky skills and eye for goal. Now, as he prepares to celebrate his 33rd birthday on Saturday, he is urging clubs and players not to "forget" what football is really about. "You get a lot of people coming into the game - sport psychologists, etc - but, at the end of the day, it's a round ball," he said. "That won't change. "You get all this other stuff which can help one or two per cent, but don't forget what it is to play football. "A manager once said to me: 'If you want to be good at playing the piano, you don't run round it or pick it up, you play it.' That's stuck with me." He thinks Chelsea are "building something special"
Cole is also desperate to make his first start for Aston Villa, having struggled with injury since joining the club back in the summer. He hopes that comes on Saturday, when he faces the club that made him famous, West Ham. The Hammers are currently fifth in the Premier League table, while Villa have lost their last six games and sit only one point above the relegation zone. "We need to stop the rot, we need to get something," said Cole. "It's just a case of getting something, even if we have to shut up shop or be ugly." Despite a difficult couple of seasons, during which injuries have limited his appearances, Cole says he remains passionate about the game. "I've had a difficult few years, with little niggly injuries at the wrong time, but I love the game," he said. "What's better than to play football?" He also feels he still has a lot to offer. "I just want a little run of games to show that, but, yeah, I've got no complaints with the career I've had," he said. "I've been very lucky to live all my dreams as a player, but there's still a lot I want to achieve in the game and I feel I'm at the right club." Cole has been a professional football for almost 16 years, having made his West Ham debut at 17. "I'm grateful for everything I've had in my career, but I still want more, because we're all greedy, aren't we?" he added. "We all want to do more. "I'd love to win a trophy with Villa, play another 100 games, because it's a great game." Villa's focus is on avoiding sinking into the bottom three at the moment rather than trophies, but Cole is used to winning silverware, having claimed eight domestic trophies with Chelsea. Cole was already something of a star by the time he joined the Blues in 2003. He had scored seven goals for England in a 8-1 win over Spain in a youth international, was reportedly the subject of a £10m bid from Manchester United at the age 16 and had made more than 120 appearances for West Ham. But he thinks Chelsea boss Jose Mourinho made him a better player. "I'm well aware he got the best out of me," said Cole. "Looking back, you admire what he did for me as a player. All of his players love playing for him. I loved playing for him. And I've not met a player who doesn't." Cole thinks Chelsea are on the verge of another golden era with Mourinho back in charge. The Blues missed out on silverware last season but are currently top of the Premier League, having dropped only four points from their opening 10 games this term. They also top their Champions League qualifying group and remain unbeaten in all competitions, having made it to the quarter-finals of the League Cup. "Chelsea could go and become one of the great sides," said Cole, who left Stamford Bridge in 2010. "They are building something special." Though he has gone on to have a successful career, Cole did not join a team until the age of 10 and his talent was not apparent to his own father. "My dad isn't a football man, so he didn't even know I could play the game," says Cole. "I didn't play for a team, let alone a professional team, until I was 10 and didn't get into a professional club until I was 11. "Nowadays, you see the kids - five and six years of age - with all the gear on. They've got all the boots, the cones are out, lovely shiny balls and all the different goals. "It's a great system, but you learn [the game] yourself with the ball, otherwise you're just going to produce robots."